The Worldwide Harmonised Light Vehicle Test Procedure (WLTP) is a means of measuring the fuel consumption, pollutants and CO2 emissions from all passenger cars currently on sale. Its purpose is to inform potential purchasers of these figures based on more realistic real-world driving data compared to its predecessor, the New European Driving Cycle Test (NEDC), which came into place in the 1980s. As the name suggests, the new procedure is set to implement a global test cycle that will therefore allow the results to be comparable worldwide and across world markets. Nevertheless, nations will still be required to apply the test differently depending on their own driving laws and needs. Even though the new tests will still take place in a laboratory, the techniques used have been adapted to better reflect the on-road performance of a car. The procedure has been created based on real-driving data rather than on theoretical scenarios as before. Therefore, the fuel consumption and emissions figures produced by the WLTP will be far more accurate than they have been to date. The legislation has already been in place for all new models released since September 2017. WLTP certification will then become compulsory on all models, regardless of how long they have been on the market, from September this year. Until that point there will be both NEDC and WLTP values in circulation, meaning that comparing models in this way may be difficult for consumers. 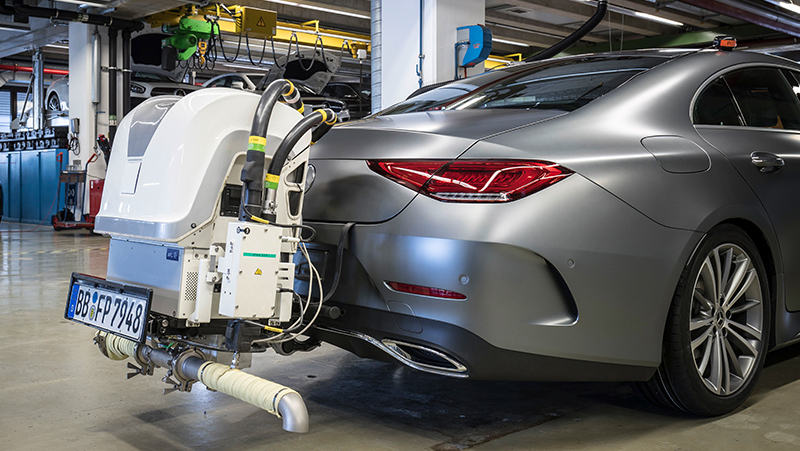 Between now and September 2018, Mercedes-Benz will gradually certify its portfolio under WLTP. From that date, it is likely that the new WLTP values will be shown in all sales documents and other publications. The NEDC consumption will be shown for discontinued models. In future, when choosing their optional extras, customers will be able to calculate the CO2 emissions of their vehicle model more accurately than before. To ensure clarity and maximum possible transparency, Mercedes-Benz will actively follow the introduction phases of the WLTP and provide dealers and customers with targeted information. What about the RDE test? The Real Driving Emissions (RDE) test also measures the pollutants emitted but it was the first to do so using on-road tests. Like WLTP, it’s first division (RDE1) also came into place in September 2017 with the second (RDE2) following in April. RDE does not replace the WLTP laboratory test, but complements it. The results from both will be compared to ensure the laboratory results produced during WLTP can be achieved in an on-road setting. Although it will not change a car’s real fuel consumption performance, the more rigorous testing of WLTP will result in higher CO2 values (and therefore fuel consumption figures) compared to the NEDC test. Because UK vehicle taxation laws are based on a vehicle’s CO2 emissions, consumers should expect changes to how vehicle tax is calculated for all vehicles. The current taxation systems for Vehicle Excise Duty (VED) and Benefit in Kind (BiK) will remain in use until a complete overhaul takes place to solely reflect WLTP values. This is currently anticipated to be in April 2020. To ensure the taxation system is fair in this transitionary period, new models that have been issued with a WLTP value will also have a back-calculated NEDC value. It is this NEDC value that is used to assign a tax band.